LUXURY LIVING HIGH IN THE BUCKHEAD SKY! Wait til you see the 27 floor view, south to downtown, west to Vinings & beyond. Front row seat to spectacular sunset. Amazing urban location but tucked away on a side street on a cul de sac. 5 MIN WALK to wonderful restaurants and shopping. Freshly painted w hardwoods newly refinished hardwoods. Top of the line Bosch HVAC is 1 yr old, Rheem H20 installed 1/17, NEST thermostat. Well maintained bldg w AMENITIES GALORE- 24/7 concierge,security,gated parking,storage locker,fitness center,pool,clubhouse,mtg room w business ctr. SchoolsClick map icons below to view information for schools near 2870 Pharr Court South NW #2709 Atlanta, GA 30305. Home for sale at 2870 Pharr Court South Nw #2709 Atlanta, GA 30305. Description: The property at 2870 Pharr Court South Nw #2709 Atlanta, GA 30305 in the The Concorde subdivision with the MLS# 6502651 is currently listed for $174,000 and has been on the market for 69 days. 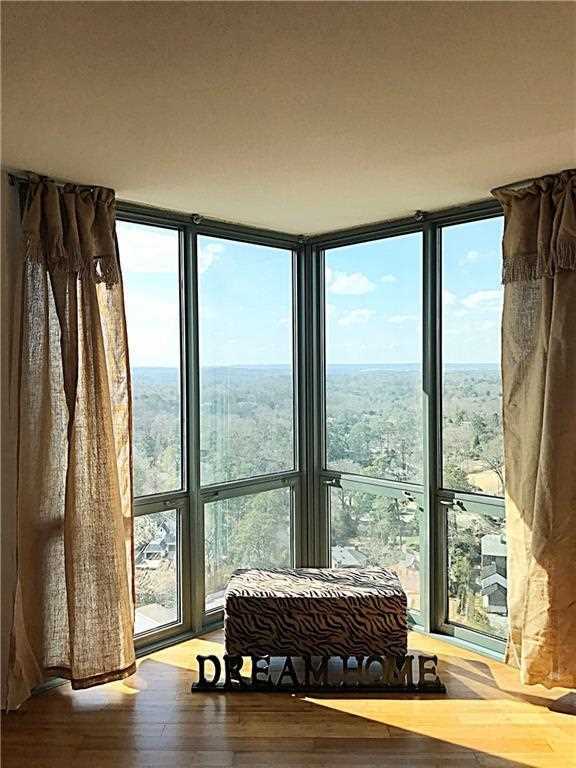 You are viewing listing details of the home for sale at 2870 Pharr Court South Nw #2709 Atlanta, GA 30305, which features 1 bedrooms and 1 bathrooms, and 807 sq.ft. of living area.